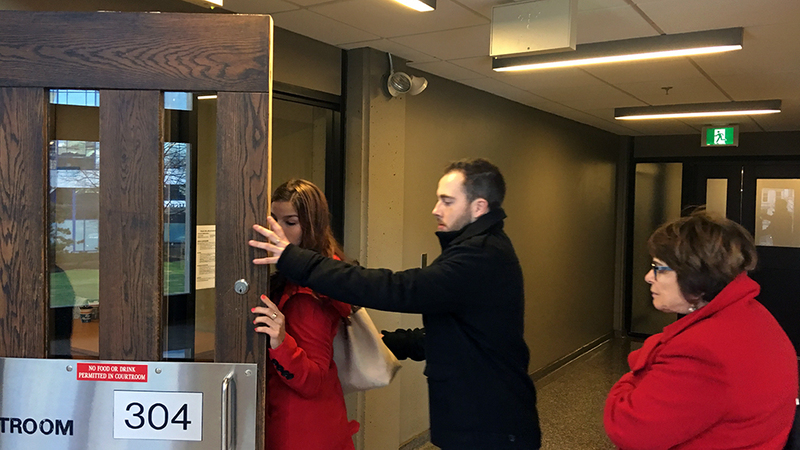 Seven witnesses testified Monday at Nova Scotia Supreme Court in the trial of Christopher Calvin Garnier. Garnier, 29, is accused of killing Catherine Campbell, 36, in September 2015. He has pleaded not guilty to second-degree murder and improper interference of human remains. The Crown alleges Garnier killed Campbell, an off-duty Truro police officer, and used a compost bin to transport and dispose of her remains. The remains were found under the Halifax side of the Macdonald Bridge. Monday’s testimony in Nova Scotia Supreme Court focused on the compost bin and the discovery of Campbell’s body. The jury was told about the compost bin last week. Garbage truck driver Ronald MacDonald told the court he recalled seeing a barefoot man wheeling a green compost bin near the intersection of Agricola and North streets during an early-morning shift on Sept. 11, 2015. 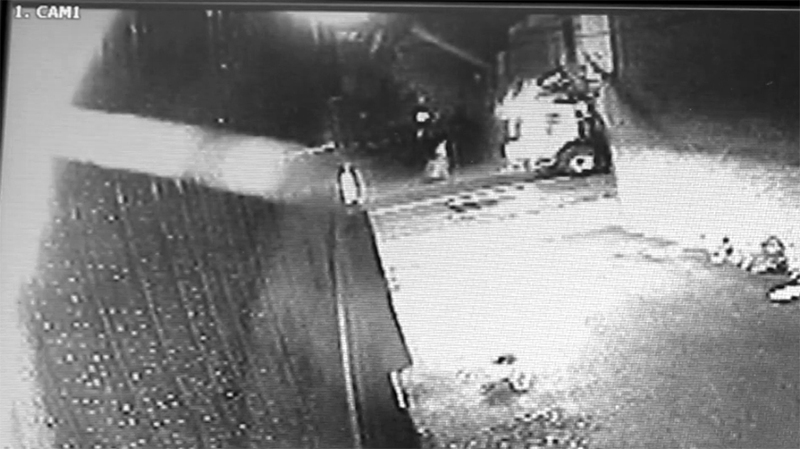 The jury was shown security footage from around 4:58 a.m. on Sept 11, 2015, showing the man with the bin and the garbage truck passing by. Andrew Golding, who was an automotive detailer at the time, also testified seeing a man with a green compost bin, as he walked to work that morning by North Street. Joel Pink, Garnier’s lawyer, asked Golding during cross-examination if the man he saw appeared to be in a daze. Golding said no, but he thought the man seemed to be agitated. Josh McNeil of the Halifax Regional Police’s Quick Response Unit told the jury about his investigation the evening of Sept. 15, 2015. McNeil testified he and partner Brian McLellan followed North Street towards the Macdonald Bridge following the route of the man with the bin. They discovered a gravel area off a service road off Barrington Street that had imprints of what looked to them like tread marks. McNeil testified they went back up to North and Agricola streets to retrace the path of the bin. 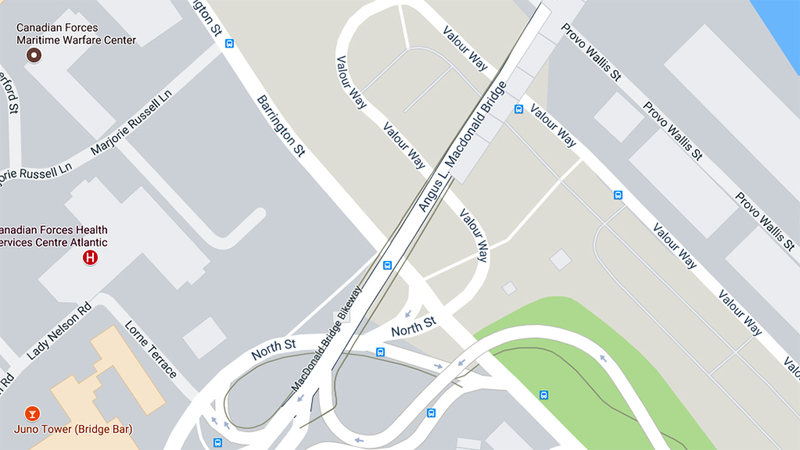 They ended up finding an overturned green bin on the far side of a steel guardrail on the off-ramp leading from North Street to Barrington Street. McLellan gave a similar account to the jury. Const. Jonathan Beer, who was an HRP homicide detective at the time, testified that on Sept. 15, 2015, he viewed security footage from Halifax Harbour Bridges. Clips from the footage were shown to the court. From two cameras, one looking down on Barrington Street and one looking down from the towers on the Macdonald Bridge, they showed a man pushing a compost bin. 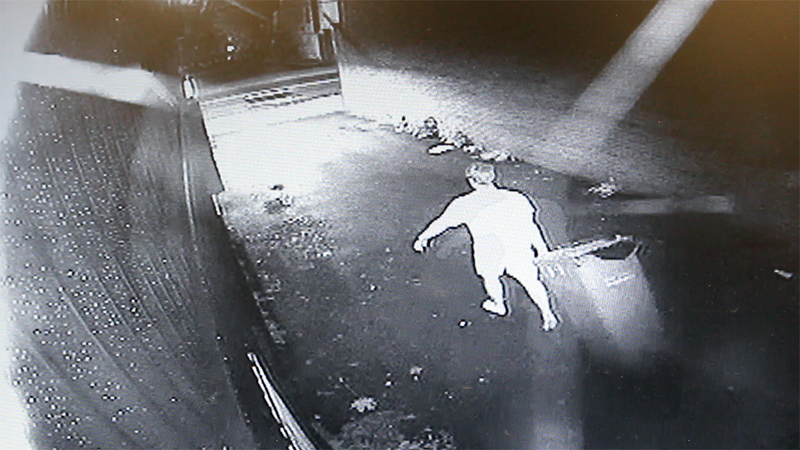 In the black and white Barrington Street footage, a figure can be seen walking down the ramp from North Street to Barrington with what Beer testified looked like a green bin around 5:09 a.m. Around 5:24 a.m. a figure is seen walking up the ramp. Then, about six minutes later, the figure is no longer pushing a bin. Beer testified he found a purple bracelet from Cheers Bar and Grill in some shrubs off Valour Way. Halifax Regional Police Const. Adam Cole testified that around midnight on Sept. 16, 2015, he walked under the Macdonald Bridge and saw something suspicious. He went down a wooded embankment to investigate and found a wooden box. Underneath the box were human remains. The final witness for the day was Const. Randy Wood of the Forensics Identification Section of the HRP. Wood told the court that around 9:30 p.m. on Sept. 15, 2015, he and his partner examined the wheel marks in the gravel mentioned in McNeil and McLellan’s testimony. They measured the distance between the tracks and compared it to the distance between the wheels on another compost bin and found the distance consistent. Wood said at 1 a.m., he and his partner went back to the bridge and started setting up for their investigation. They had to turn off lights and limit movement as they were informed a vehicle under surveillance was approaching the scene. Wood said all he saw of that vehicle were the headlights. Wood went to investigate the scene under the bridge and climbed down to find a 90-pound feral cat shelter and brush obscuring human remains. Video was played for the jury showing what was identified as the back of Campbell’s body lying amidst some brush. Wood also testified he was part of a team that performed a test on the compost bin. A chemical that becomes luminescent when in contact with blood was applied to the bin. The chemical glowed when applied to the inside of the bin. It was not stated whose blood was found inside.